A photo from ASPI’s submarine conference – I’m in the middle there between the UK Defence attache to the left and an executive from Northrop Grumman (hidden) on the right and some senior Americans I never did meet. We’re listening to Defence Minister David Johnston. 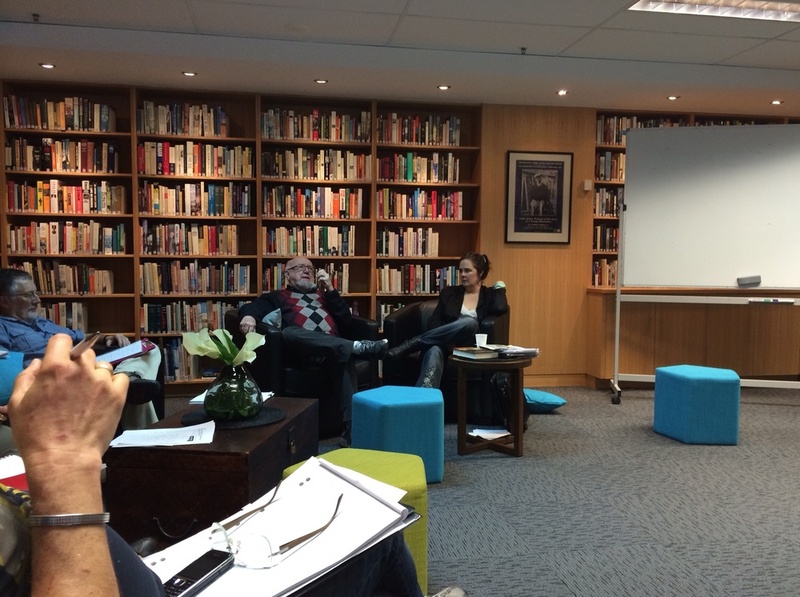 at Sydney Mechanic School of Arts, photo taken by my lovely student Irina. This first course has finished but we will probably run another one in August/September. 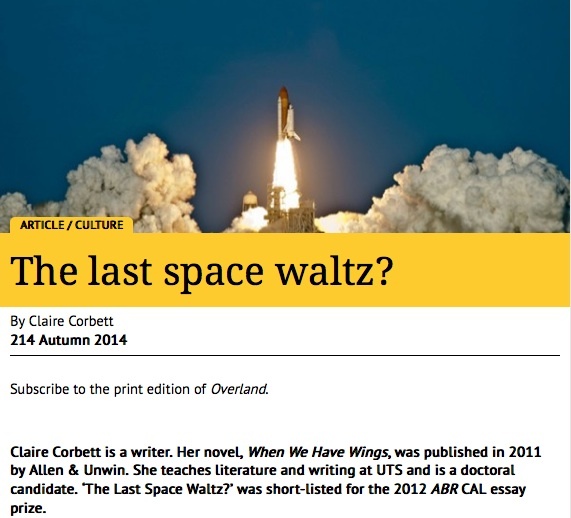 My essay on the relationship between the fantasy of human space exploration – 2001 – and the reality – NASA – and whether humans will ever leave geostationary orbit again, is published in Overland, Autumn 2014.